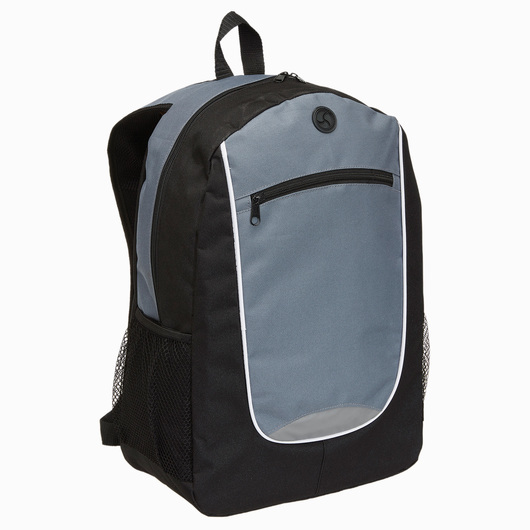 This backpack is a great companion. It provides great value with the added safety of reflective panelling, front and back. 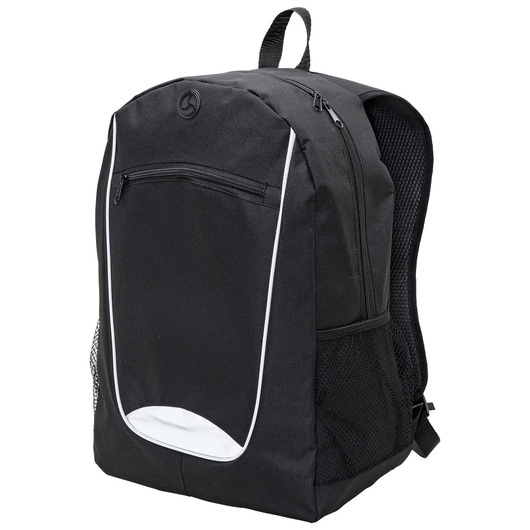 Keep all of your items organized in this bag, make your life easier and more convenient! 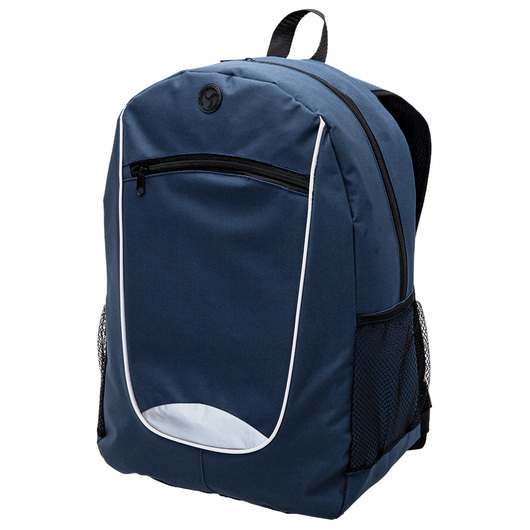 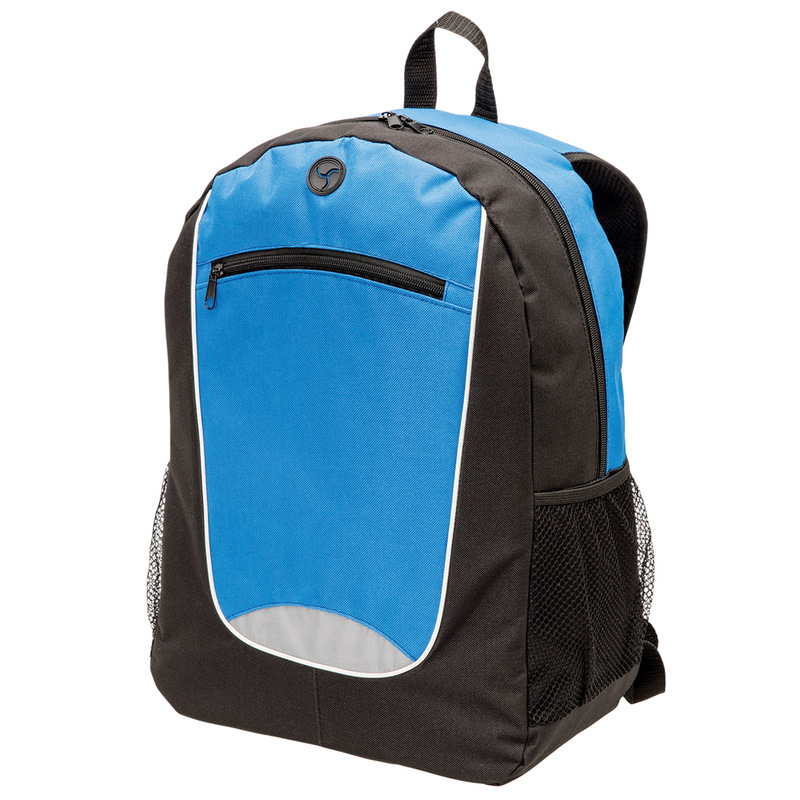 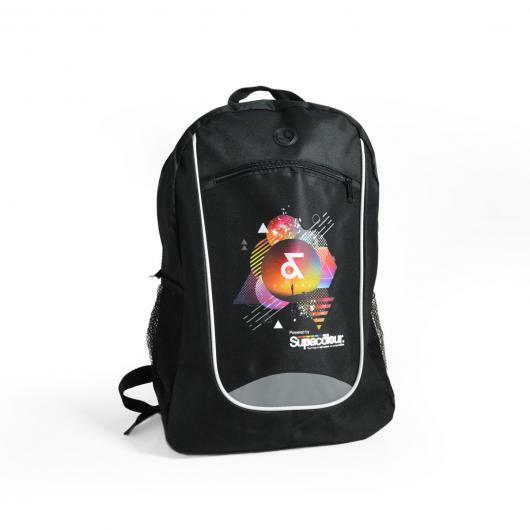 Manufactured from high quality 600D polyester material, this backpack offers durability and practicality. 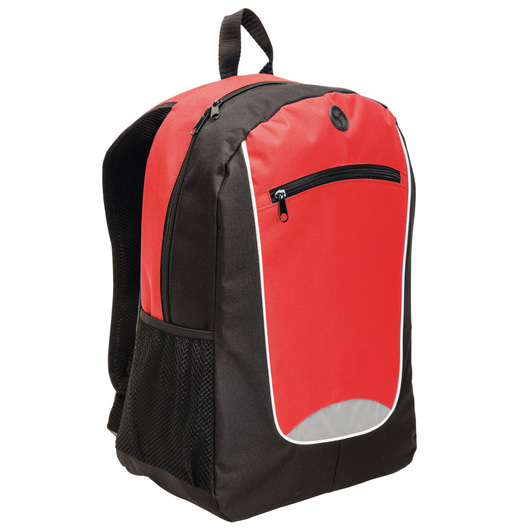 It features a double zippered main compartment, front zippered storage pocket with piping, feature reflective panel on front, internal slip pocket, elasticated mesh pockets on both sides, outlet for headphones on front top panel, webbing carry loop, and adjustable curved shoulder straps with reflective strips.